Joe Biden's son is dating his late brother's widow, and Joe is cool with it. 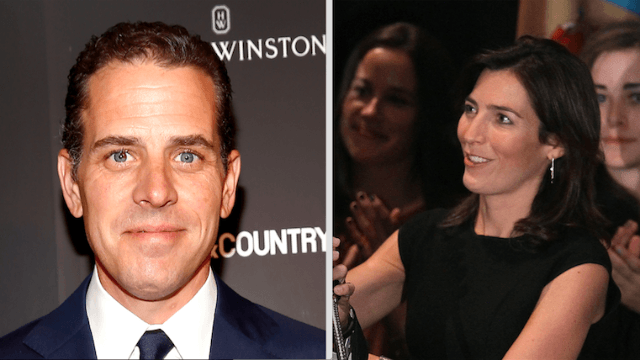 Hunter Biden, son of former Vice President Joe Biden, is now dating Hallie Biden, the widow of his brother, Beau Biden. That's a lot of Bidens! We are all lucky that Hunter and Hallie found each other as they were putting their lives together again after such sadness. They have mine and Jill’s full and complete support and we are happy for them. Hallie and I are incredibly lucky to have found the love and support we have for each other in such a difficult time, and that’s been obvious to the people who love us most. We’ve been so lucky to have family and friends who have supported us every step of the way. And if there is any confusion or tension, we know Joe Biden will smooth everything over the way he always does: with some fun gags.